Description: Me&My Big Ideas Stickers have become a staple in every scrapbook. They are acid-free and lignin-free. 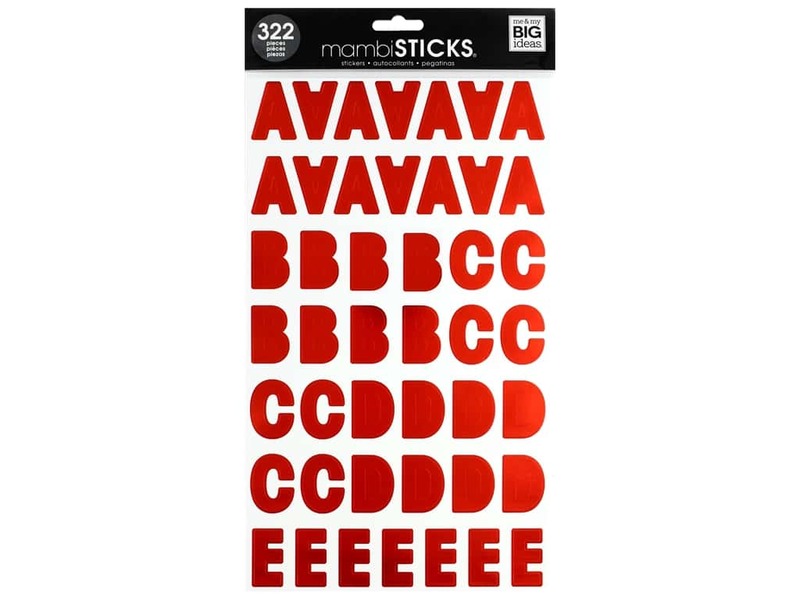 Medium Alpha Ava Foil Red- 322 stickers of a complete uppercase alphabet with extra of more commonly used letters and numbers. Features the Ava font in red foil. Letters measure approximately 1.25 in. tall.